CNET is an American tech media organisation. This has its own website also. But here we are talking about that how CNET test monitors. 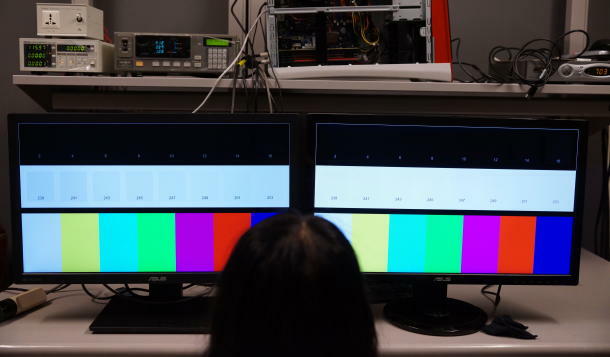 CNET have their own tools and devices to check the performance of monitors. They use a variety of DisplayMate test screens in conjunction with diagnostic equipment, and most important tool, the human eye. Each test screen perform different test that emphasizes on different problems, like text readability, colour accuracy, or screen uniformity. One of the testing devices of CNET lab is test bed which is consists of a 3.2GHz Core i7 960 CPU, 4GB of DDR3 RAM running at 533MHz to check the colour performance of all monitors with 32-bit colour display. Things like light source, viewing angle and system graphics have an effect on display performance. 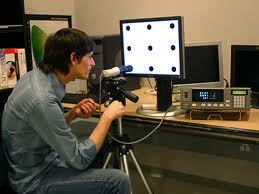 All this type of testing is performed in controlled lightening environment using CinemaQuest Ideal-Lume lights. For brightness tests CNET use Minolta CA-210 LCD colour analyzer. And for analyzing contrast ratio they use default contrasts and brightness setting. They divide the average luminance of the white squares by the average luminance of the dark squares to know about the display's contrast ratio. Another important test of CNET’s Lab is DisplayMate test which include Page of text, Intensity and grayscale, Low saturation colors, Extreme grayscale bars, 64-256 intensity color ramp, dark screen, colour scales, etc.